The resiliency of server infrastructure is the key to true data center security, even more so than the overarching OS and individual applications. In fact, analysts have pinpointed firmware attacks as one of today’s greatest system threats. 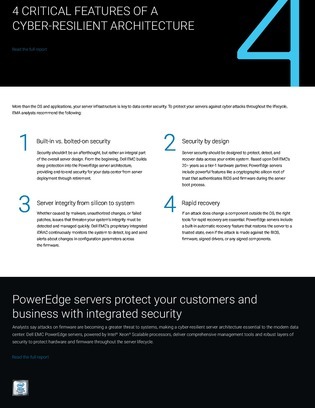 Keep reading to uncover four security features that server architecture should have to ensure your data center’s most critical pieces of hardware are cyber-resilient and gap-free.